Karen McCartney profiles the designers in today's New Design Talent sale event. Jack Auld is a man with a mantra. “I want things to be built to last, things with intrinsic value that might even be handed down a generation", he says. He began his career as a qualified joiner, inspired by his grandfather’s love for woodwork, and gradually moved into the design field. Drawn to the simple clean lines of mid-century furniture from the USA and Scandinavia he interprets these influences through his love of local Australian hardwoods – stringybark, blackbutt and Victorian ash – their qualities enhanced by his range of oils and polishes. Jack’s method of using traditional craftsmanship along with contemporary design, results in a beautiful pieces of individual furniture made locally in the Geelong region of Victoria. His approach is somewhat purist. ‘I like to avoid adding handles and shape the timber to do the job’, he says. And his favourite piece? “The Aurora cabinet was one of my first designs and it gave me confidence as a designer’, he says. I first came across Ingrid Tufts when researching a piece for ‘Epicure’ magazine in The Age newspaper. She was the supplier of handmade cups and saucers to cool café Common Galaxia in Melbourne (she has also supplied Cumulus Inc with custom-designed, hand thrown beakers) so is no stranger to style and substance. A Melbourne based designer, Ingrid works from a home she has turned into a workshop complete with a kiln in a granny flat at the back (no granny hopefully) and produces beautiful ranges of ceramic kitchen and homewares. Some pieces pop with colour while others work within a softer, dreamier palette. Her pieces in collaboration with illustrator Arnolda Beynon’s feature delicate drawings and create yet another family within her stylistic repertoire. All pieces are beautifully realized with subtle shifts in shape indicating the touch of the maker. “I love the whole process,’ says Ingrid, “from the design of objects - to the final finishing of products. The thrill of knowing that an object that you have created to fulfill a purpose not only works but also provides enjoyment to people every day is a very satisfying feeling. " 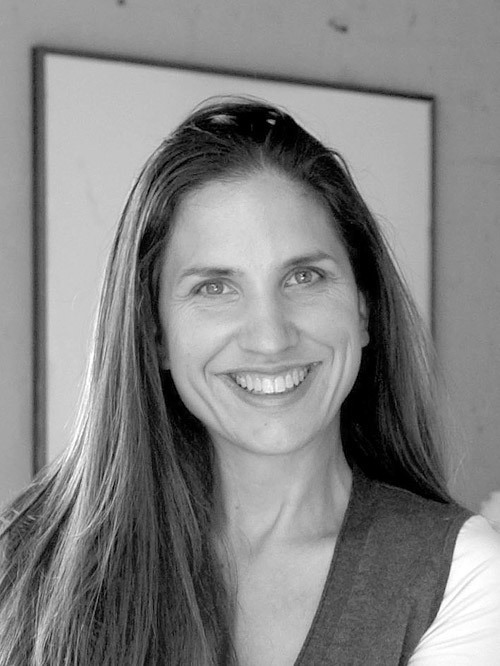 Tamara Maynes has been designing and creating for over 20 years. She is famous for her modern take on 70’s inspired homespun crafts but with a modern edge, clever conceptual thinking and a democracy of approach. Her Quilt Light shown at last year’s London Design Festival was a downloadable design with how-to-make instructions. On the T&W site we have her wonderful macramé works, the genesis of which she describes with great affection. “The fact that I was born at the start of the 70's to artistic teenage parents has had a huge influence on my love of and familiarity with handcrafts associated with that era. As a maker, macramé appeals to me on a nostalgic level while the designer in me is attracted to the challenge of modernising it. I consider well-designed takes on old crafts as an incredibly accessible decorating tool for modern spaces”, she says. Using standard macramé materials such as natural and synthetic rope, and the accompanying materials such as copper hardware it is the clever way she encourages the ‘past and present hold hands’ that gives the work her distinctive mark. “I love colour, I mean really love it. It's not necessarily that I need to live with a lot of colour in my space but it is more often than not the precursor for new work. I wanted these to be key decorating pieces so chose strong colours that are just as visually beautiful on white walls as they are on coloured ones", says Tamara. These pieces have only been launched recently and so far have tended to draw gasps - particularly Full Circle which has the power to be a captivating focal point in a space. “There is also an nostalgic aspect also elicits a heartfelt response, which is perfect considering they are designed as investment pieces which are handcrafted to become part of their owners story... to be passed on, if not physically, then in some small way to those they love’, says Tamara. 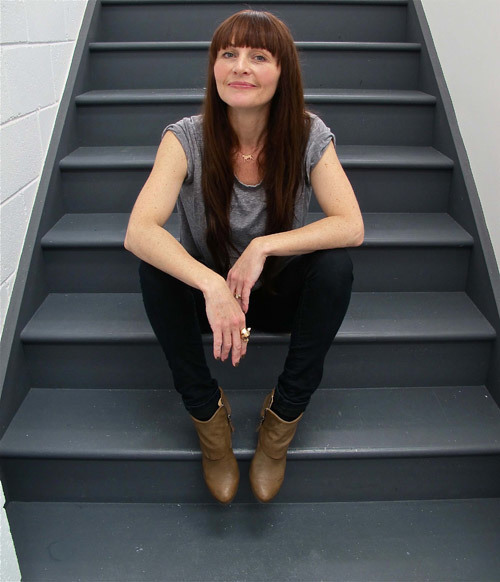 Valissa Butterworth is the talent behind The Mod Collective, a company brought to the nation’s attention by the exposure The Block’s winning apartment brought to their ceramic lighting range. “The lights were truly in good company as there was some amazing furniture there. It introduced my work to a whole new audience and it has been invaluable", says Valissa. This is prototyping techniques, applying each where they are most appropriate to the process. The result is an impactful range of ceramics combining the best of traditional and digital computer depth of colour alongside the tactile surface interest their design delivers. 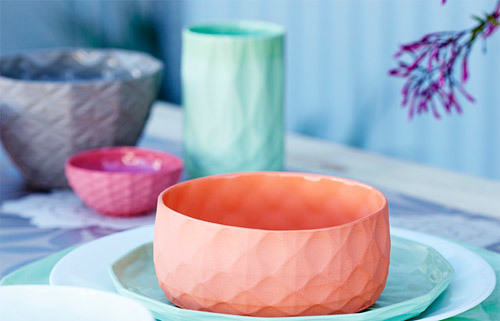 With names like bloom, marquise, diamond and scale to indicate the object’s textured pattern and colours like watermelon, mustard, clay and linen in the form of simple beakers, bowls and vases this range is hard to resist. “I personally would rather a few really special coloured pieces, they can also be used to breathe life into a plain white setting. My favourite at present is a new colour called Leather with coral pink, melon, soft pink and cream", she says. Only as I started to research the range did I realize I had bought two bowls for Christmas presents last year. Time to stock up again! Melbourne-based designer, Jonathan Ben-Tovim founded B-Tovim Design in 2011 as a consultancy specialising in industrial design, branding and strategy. And it sounds as though he was ready to strike out on his own, having not only completed a masters at the prestigious Design Academy Eindhoven in Holland but cut his teeth in London at leading design consultancies. The fact that he was born in Zimbabwe and raised in Adelaide, only adds to a worldly outlook. The Rough Diamond range showcased on Temple & Webster is a clever construction utilizing a 3-D printed joining system with hand-cut and assembled standard copper and brass tubing. The geometric shapes vary but the principle remains and the resulting look is graphic with the added benefit of some creative shadows. He has also produced a range of stools and chairs constructed in 100% solid bamboo with the thoughtful addition of brass foot guards. The legs are painted in great colours adding a flash of energy to a beautifully resolved furniture piece. The pieces feel restrained and resolved – to my mind the sign of a good designer. 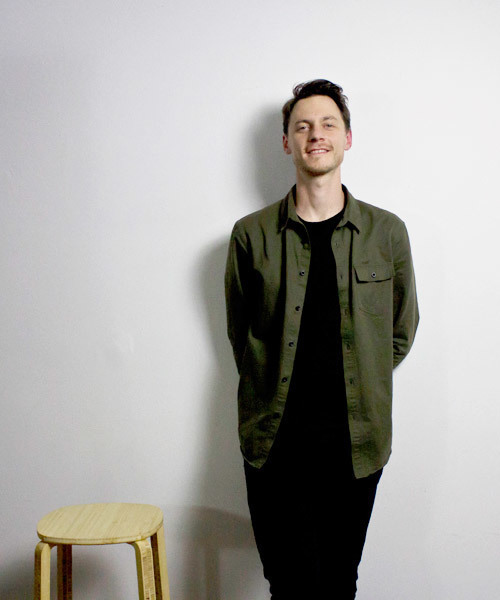 After finishing an apprenticeship as a cabinetmaker Soren quickly discovered his passion for creating and building furniture. He started to work for different furniture makers around Germany to learn his craft and discover different approaches to building and design. Soren opened his first workshop in Hamburg Germany in 1998 and collaborated on projects with well-known interior designers such as Sebastian Labs from labs design and Fritz Deutschland. 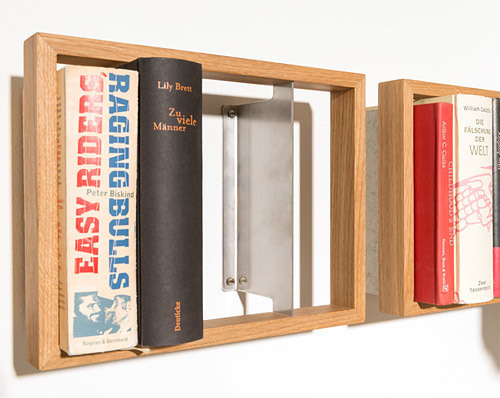 When he moved to Sydney 5 years ago he began working for other designers, such as Gary Galego before decided to open his own workshop where he continues to bring to life his own ideas, such as this cleverly conceived timber storage system for books and beloved LPs . Inspired? Shop for your own piece of authentic, local design.